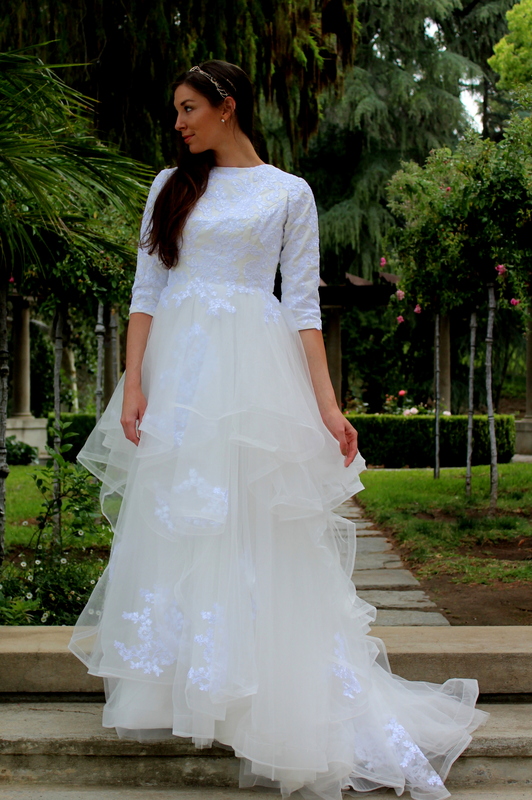 Our Alexandra gown is both beautifully modest and completely stunning! The bodice is made of bright white lace over an ivory base, while the modified a-line skirt is made of the softest ivory tulle and embellished with bright white lace appliques. 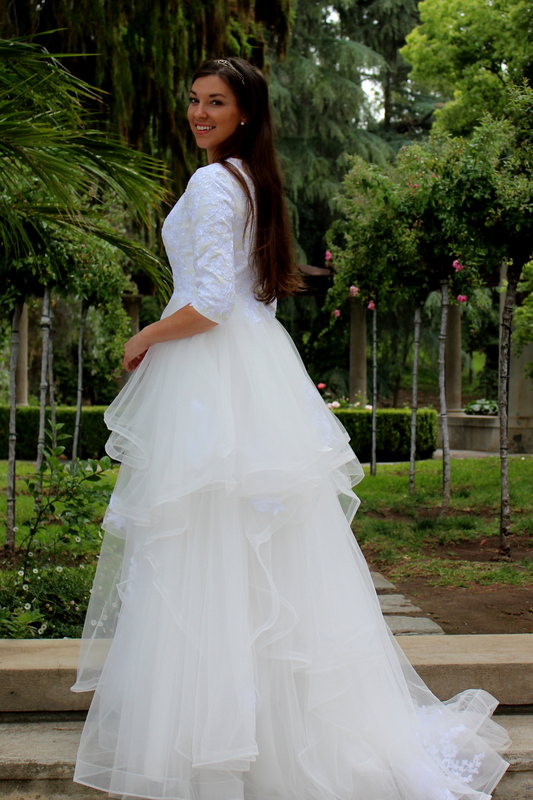 Alexandra’s skirt beautifully cascades through layers of tulle for a look that is both whimsical and romantic. Fully lined, Alexandra is finished with an invisible back zipper. 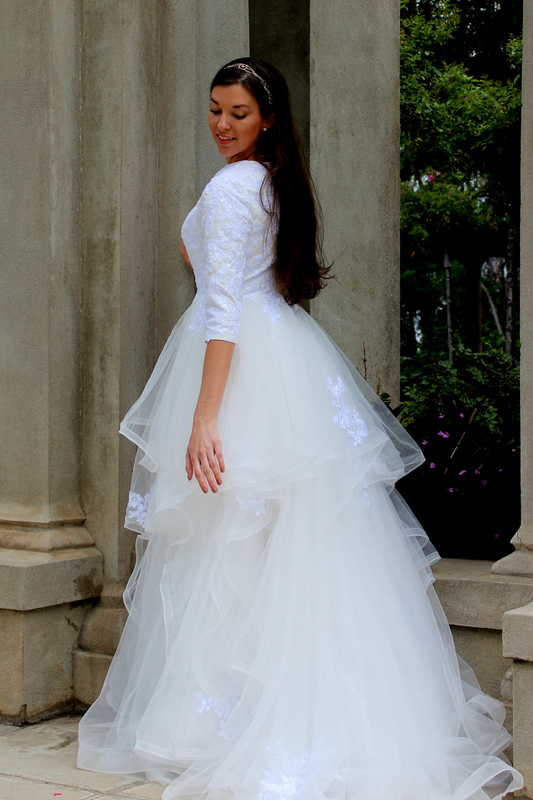 Shown with our Stacie Bridal Headpiece.